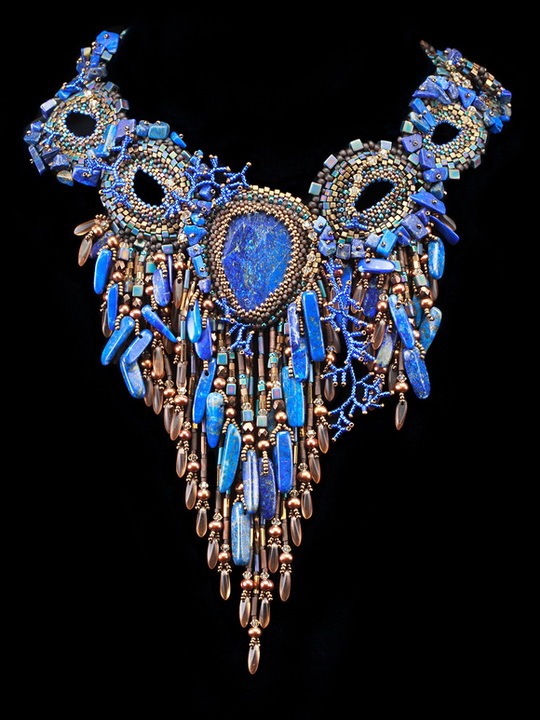 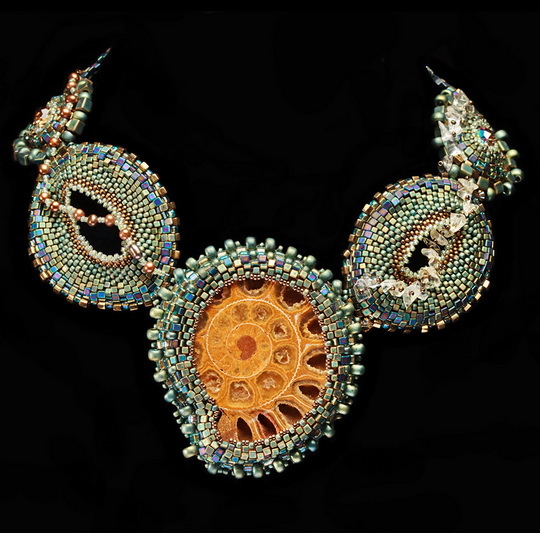 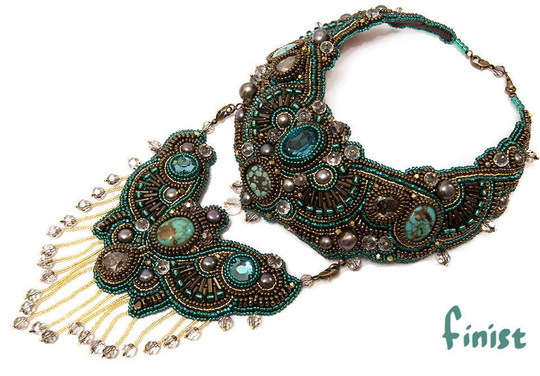 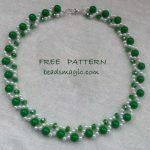 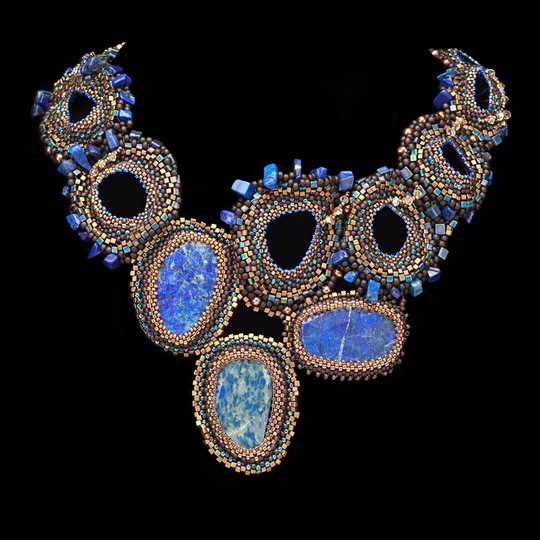 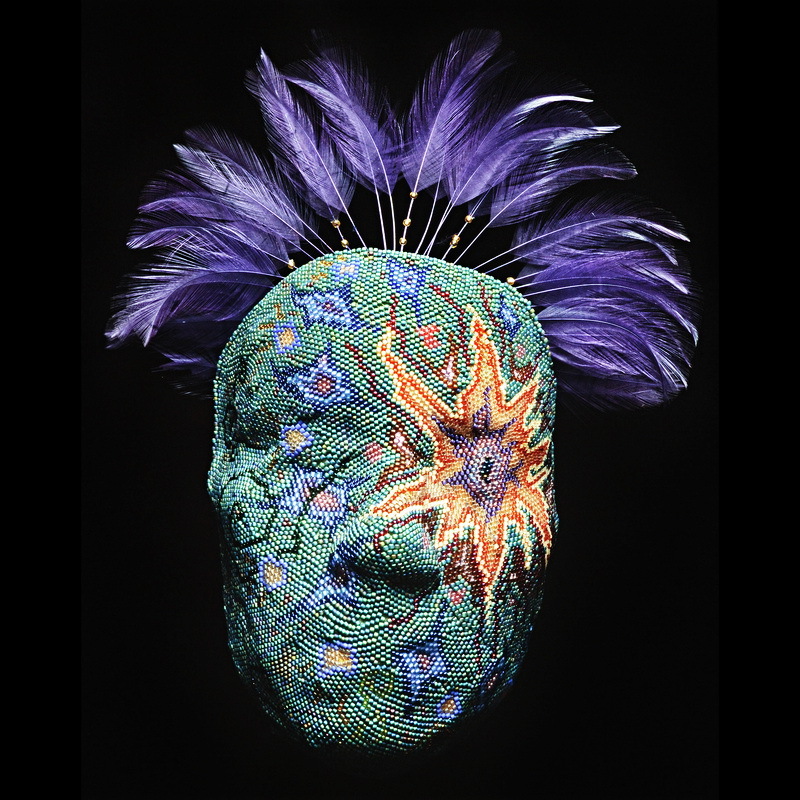 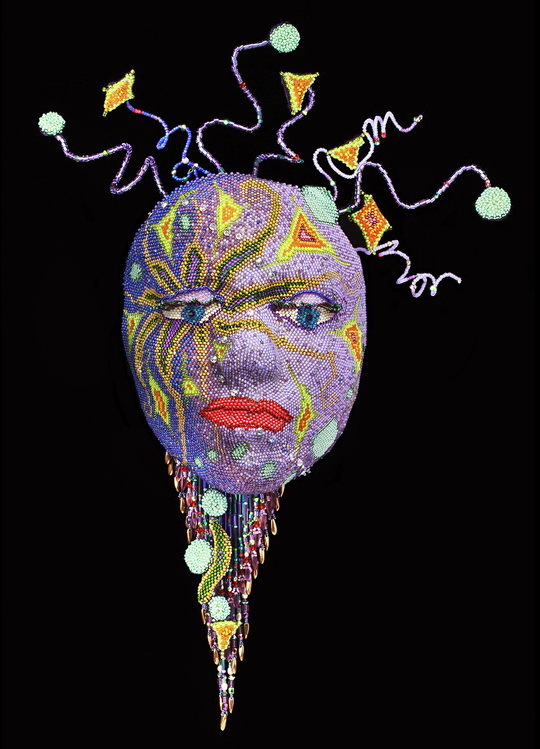 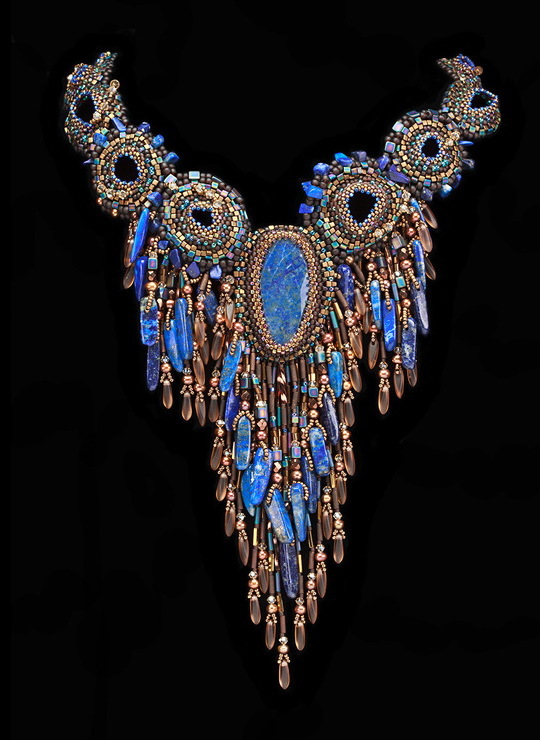 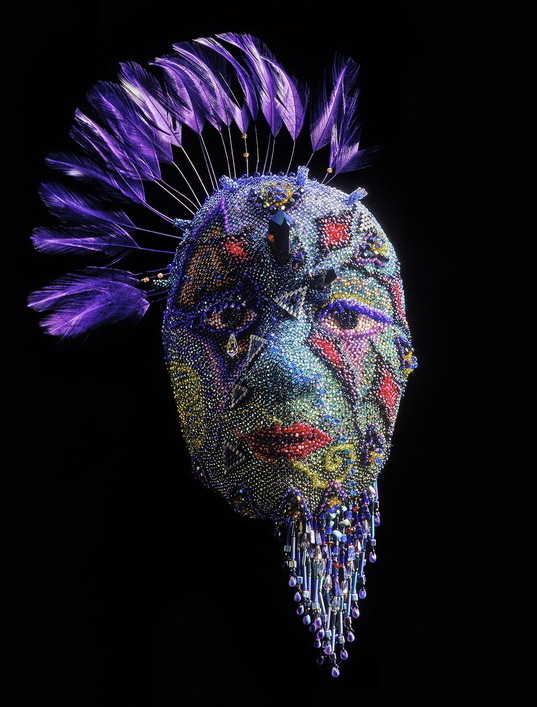 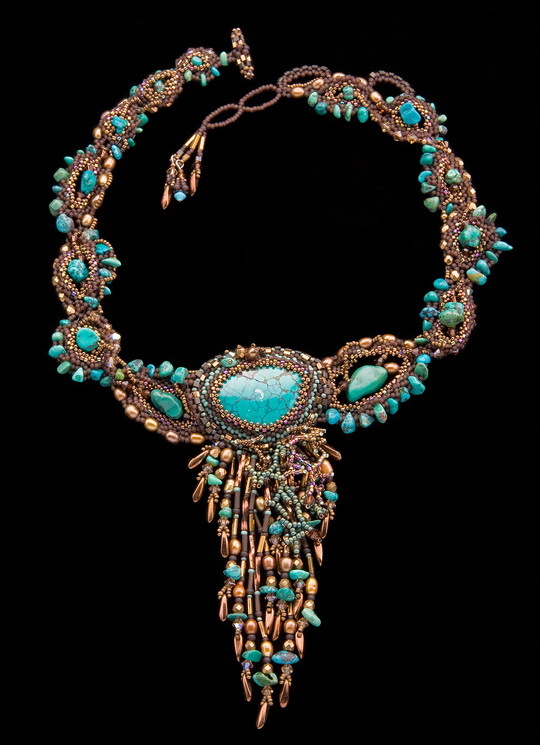 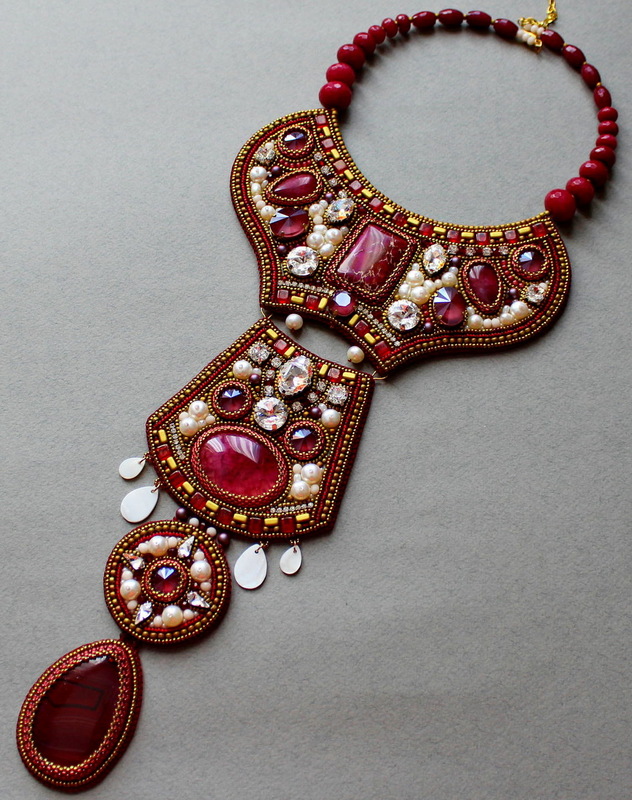 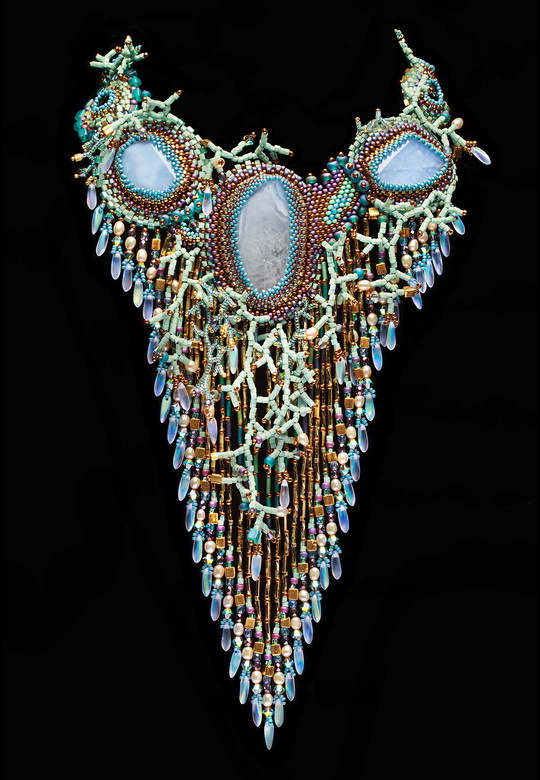 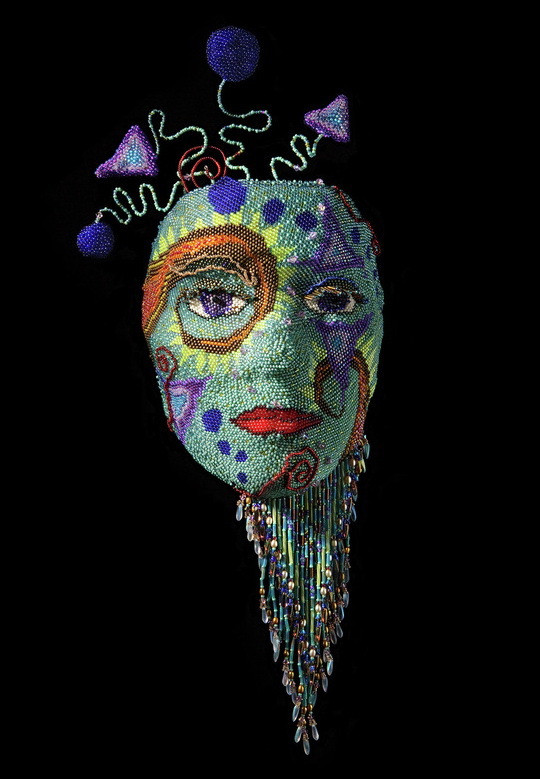 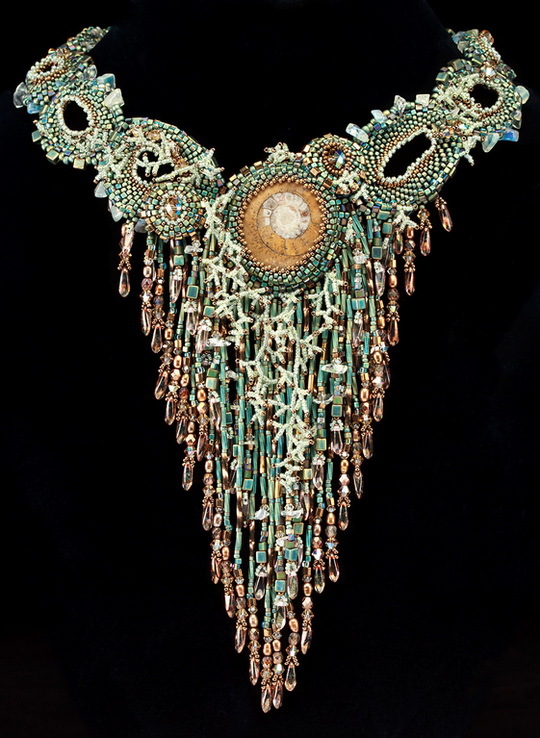 Wendy Seaward is extra talanted and original beadwork artist from USA. 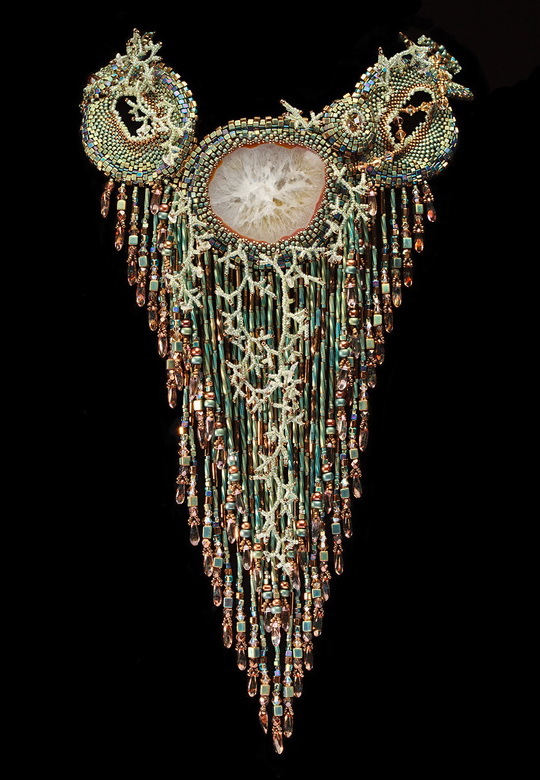 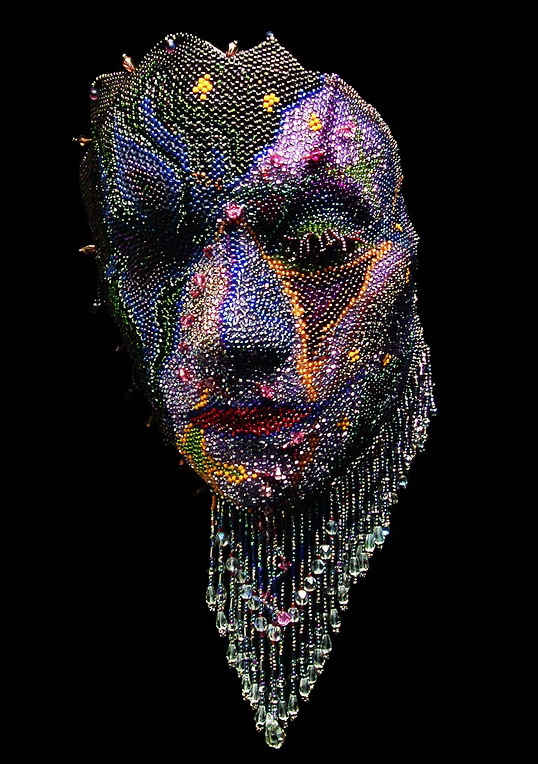 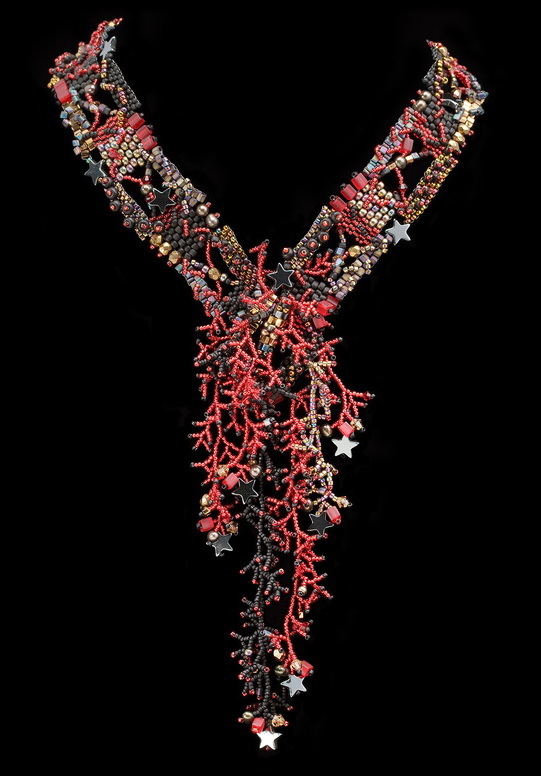 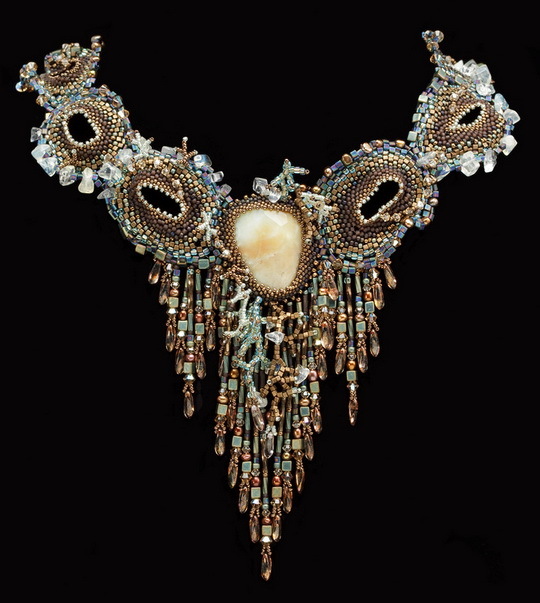 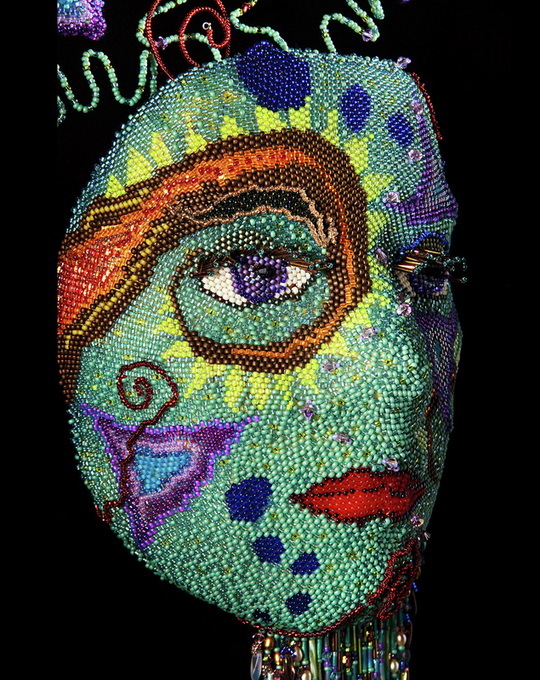 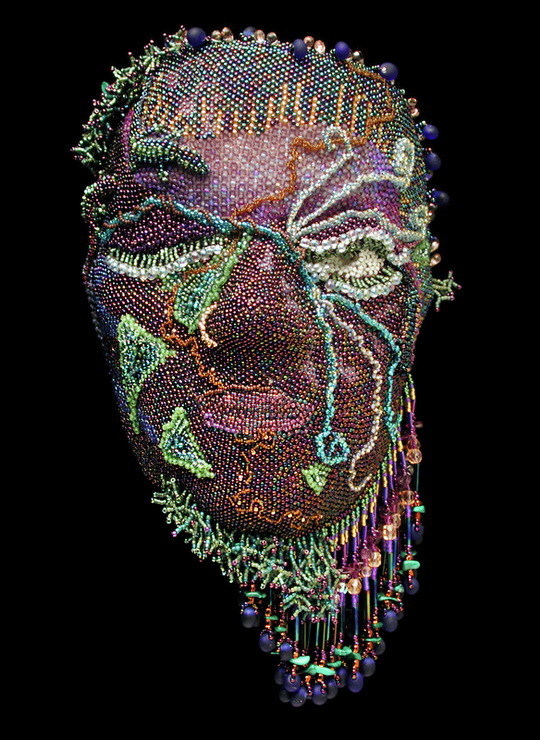 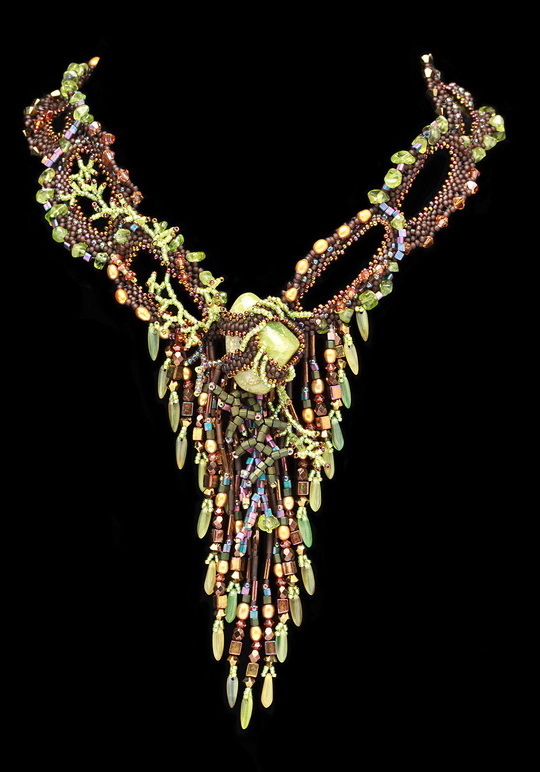 Using off-loom bead weaving techniques she composes intricate sculptural works out of glass seed beads and natural materials such as semiprecious stones, pearls, fossils, and found objects. 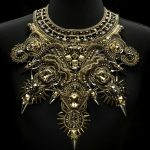 Here I post her amazing necklaces and unique masks.